Cavco Acquires Lexington Homes | Cavco Industries, Inc.
PHOENIX, April 4, 2017— Cavco Industries Inc. (NASDAQ: CVCO) today announced its closing of the acquisition of Lexington Homes, Inc. (“Lexington”), which became effective on April 3, 2017. 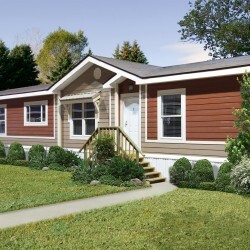 Lexington provides affordable manufactured housing from its manufacturing plant in Lexington, Mississippi to its retail distributors in the Southeastern United States. The purchase price, which was paid in cash at closing and funded with Cavco’s internal capital, was not disclosed. Lexington home products will continue to be marketed under the Lexington brand name and the current management team will remain with the company. Cavco Industries, Inc., headquartered in Phoenix, Arizona, designs and produces factory-built housing products primarily distributed through a network of independent and Company-owned retailers. 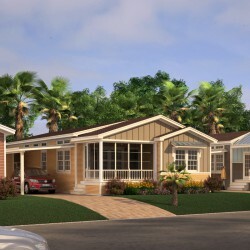 The Company is one of the largest producers of manufactured homes in the United States, based on reported wholesale shipments, marketed under a variety of brand names including Cavco Homes, Fleetwood Homes, Palm Harbor Homes, Fairmont Homes and Chariot Eagle. The Company is also a leading producer of park model RVs, vacation cabins, and systems-built commercial structures, as well as modular homes built primarily under the Nationwide Custom Homes brand. Including Lexington, the Company will employ approximately 4,200 people and operate twenty manufacturing plants along with retail home centers, housing finance and homeowner insurance businesses in the United States. 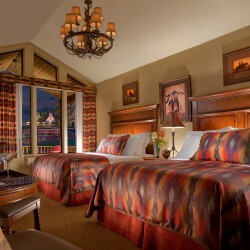 Additional information about Cavco can be found at www.cavco.com. Lexington Homes, Inc. was founded in 2004 by individuals with combined experience of over 100 years in the manufactured housing industry. Lexington operates one manufacturing plant in Lexington, Mississippi and distributes homes through a network of independent retail businesses in the Southeastern United States. 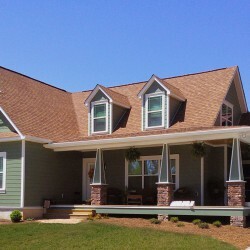 More information about Lexington can be found at www.lexington-homes.com. This press release contains, and our officers and representatives may from time to time make, “forward looking statements” within the meaning of the safe harbor provisions of the U.S. Private Securities Litigation Reform Act of 1995. Forward-looking statements can be identified by words such as “believe,” “will” and similar references to future periods. Forward-looking statements are neither historical facts nor assurances of future performance. Instead, they are based only on our current beliefs, expectations and assumptions regarding the future of our business, future plans and strategies, projections, anticipated events and trends, the economy and other future conditions. Because forward-looking statements relate to the future, they are subject to inherent uncertainties, risks and changes in circumstances that are difficult to predict and many of which are outside of our control. Our actual results and financial condition may differ materially from those indicated in the forward-looking statements. Therefore, you should not rely on any of these forward-looking statements. Readers are specifically referred to the Risk Factors described in Item 1A of Cavco Industries, Inc.’s 2016 Form 10-K, as may be amended from time to time, which identify important risks that could cause actual results to differ from those contained in the forward-looking statements. Any forward-looking statement made by us in this release is based only on information currently available to us and speaks only as of the date on which it is made. We undertake no obligation to publicly update any forward-looking statement, whether written or oral, that may be made from time to time, whether as a result of new information, future developments or otherwise.